Manufacturing Industries being highly automated are regularly under the necessity of increasing its production to meet the demands of the rapidly changing market. As the vital role of any manufacturing company is to afford good quality products to its customers. Initially, it is apparent to have a count and data of the products and their quality that is being supplied but with the increasing business, it becomes difficult to monitor all the products and their quality that is delivered. This led to the popularity of Order Management software System development companies. As per the modern study, it is proved that the cost control, extended the reach and increased capability is possible by using a mobile app for the business making Mobile app development for manufacturing industry a must. 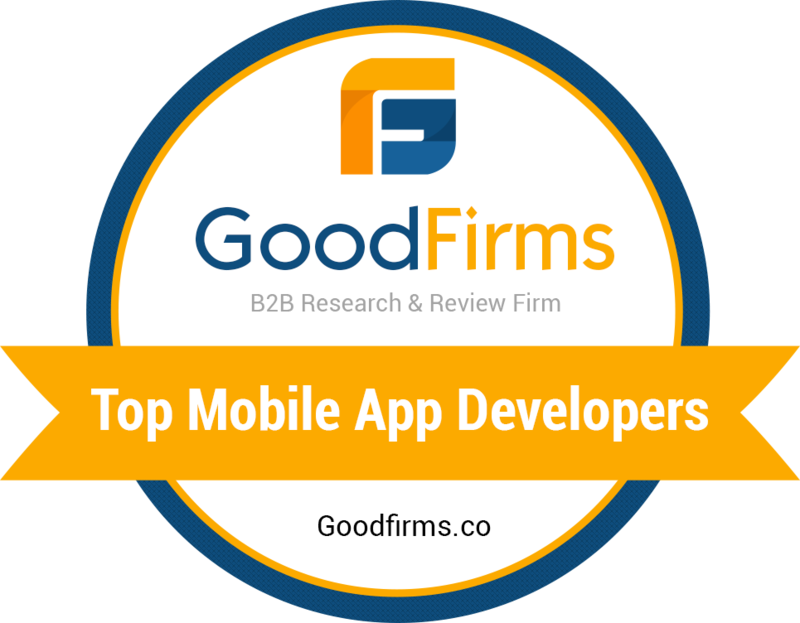 Acknowledging the benefits of having a mobile app for a company these days, mobile apps are becoming popular and are in good use in the industry today. Tracking of the product is possible with the algorithms that are used in designing a mobile app. You can check the quality and status of the order with analysis and reports.and also make sure you will be updated with any kind of changes if made by integrating mobile CRM systems with order management process, development process, and delivery. This can be done with the Delivery Tracking system development in mobile apps. The product delivery can be canceled easily by the user without having to reach out to the producer. There is no need to contact different people for canceling the delivery. You can also have the data of cancellation date and time details in case necessary. There can be recorded data on what has been purchased and delivered. So the user can have a look at what all he ordered along with the delivery date and time of the product at any time in his mobile device. This is one more advantage in having a mobile app where you can actually view the experience of the users with the product and its delivery from the comments section which is also known as feedback section. This helps to make the required improvements in your business according to the user needs and requirements. Mobile apps help you stay in contact with the customer easily. You can know more about the customer by contacting them individually, this way you can act according to the user’s interest which will be helpful or your business. You can easily update the user with any kind of updates from your business through a mobile app by send notification to the user for the maintenance of machinery for improved production. Being updated with the information keeps the user in contact with the business for a longer period of time. From the benefits mentioned above, you can easily understand how Mobile Apps are Impacting the Manufacturing Industry today. Almost all the business have already moved into mobile apps for promoting their business, There are thousands of mobile apps today which are used to increase and manage the productivity of manufacturing industries some of them are listed below. This app concept is used for various tasks like automating processes, record inspections, flag items, and assign tasks by many professionals. When don’t know how to code but want a customized app you can use AppSheet as it is not only an app but also a platform to build apps. You can quickly customize the features, data, logic, and UI of your app. Also, it is totally free to prototype and you could get your first app. It is used for manufacturing areas, offices, and work sites, this app comes with a great template to begin improvement activities in your organization. This can be used when you need to conduct any audits in a particular area. This app concept helps you learn to stand in the race with different nocturnal technologies like advanced robotics and logistics simulation, closed-loop quality solutions and CAD/CAM software etc. It is a general app that lets you experience digital manufacturing in interactive factory conditions and helps users streamline their own operations and strategy. This concept is available on both desktop and mobile and is used in managing the warehouse receiving or to track delivery etc. It also helps keep your team on track and makes it easy to manage employees. The app has a dashboard view which shows all vendors and construction sites on a map, table view which shows active and complete packages. MRPeasy allows you to create manufacturing orders, plan and assign tasks within a production calendar. It is basically a product planning software which allows complete viewing of key factors for your manufacturing processes and any information that is needed to develop your competence. Choosing a Manufacturing app which will be used in increasing the efficiency of your company is really tough. There are many Inventory management system development companies. We at Krify provide website development and mobile app development services. Also, we have a team experienced and skilled developers that use next-generation manufacturing technology and designing unique and customized applications for our customers considering the trends in the market and the requirements of the clients. It’s important to furnish your business with the right support with one of the good Equipment Inspection App development company. At Krify our team is dedicated to helping people and businesses achieve their goals. Have any ideas about owning a mobile app? Or need any suggestions regarding some best mobile solutions? Reach us anytime our team would be happy to assist and help you 24/7.